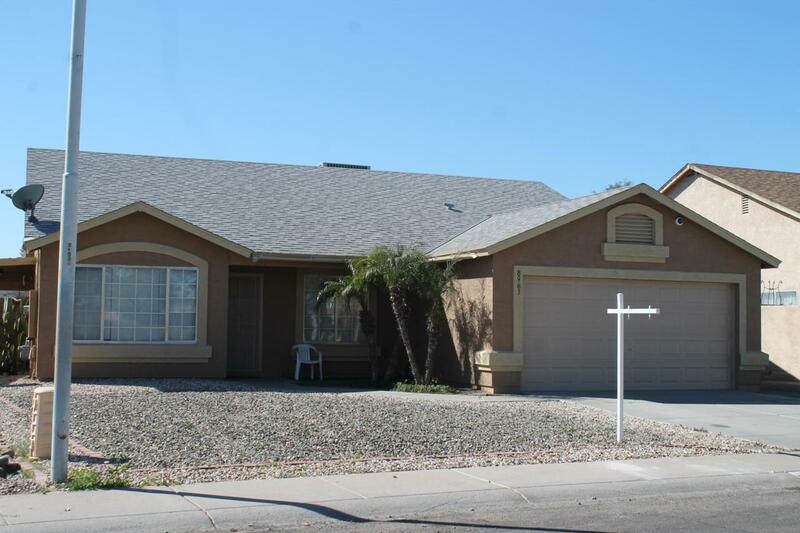 Beautiful 3 bedroom, 2 bath home, ready to move in. 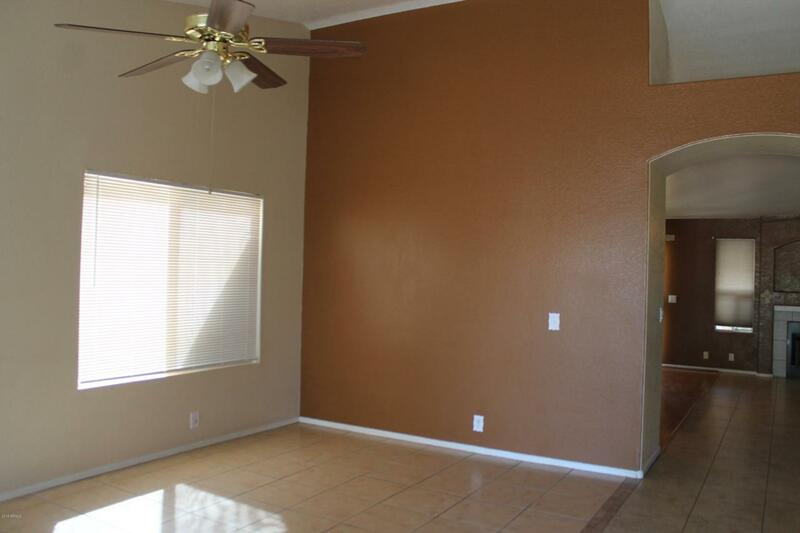 Huge living room with vaulted ceilings, open kitchen to family room with cozy fire place. 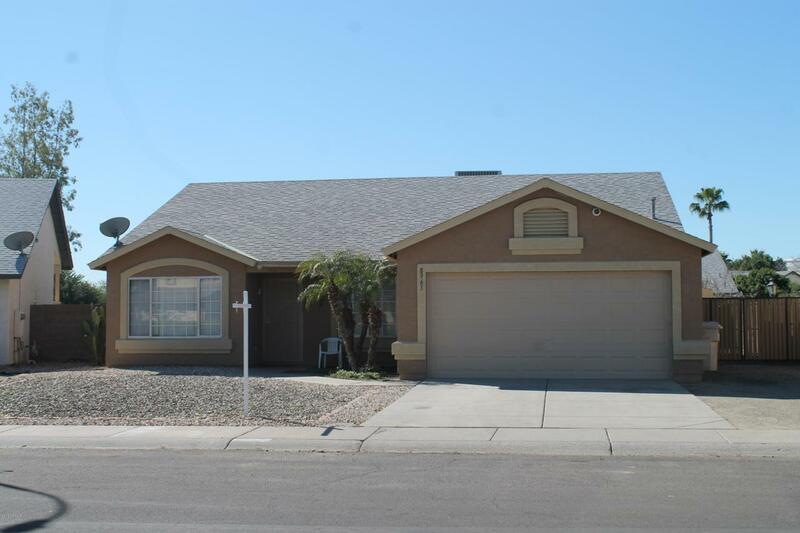 Fresh paint outside and inside, master bathroom has separate shower and tub, private toilet and huge walk-in closet. Large second and third bedrooms. Inside laundry. New window sunscreens. Extended cover patio and concrete slab recently built. Huge storage shed. RV gate. No HOA! 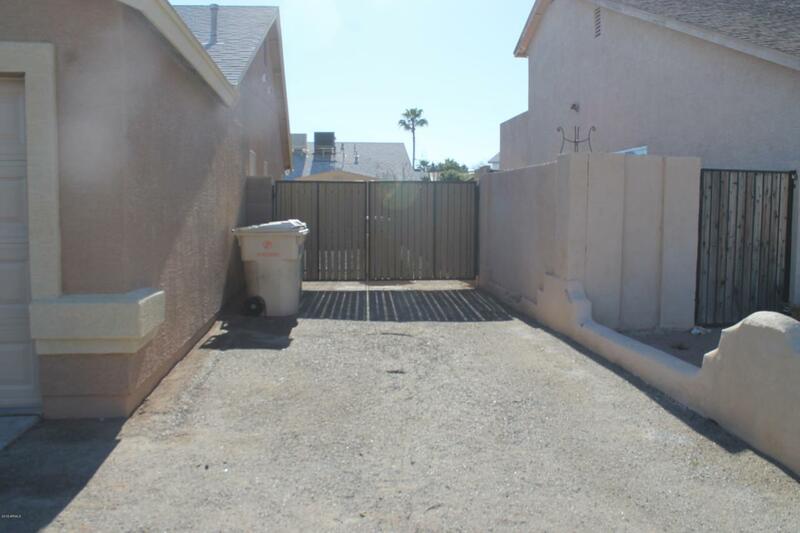 Walking distance to so much shopping and restaurants including Tanger outlets, 101 freeway, Westgate Entertainment, Top Golf, Cardinals football stadium, Cabela's and Desert Diamond Casino! Cross Street Glendale & 91st Ave.